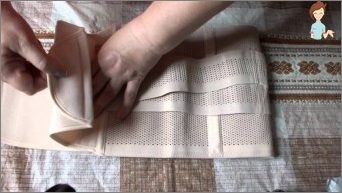 Home / Needlework / How to sew a belt-sauna with the effect of losing weight with your own hands? How to sew a sauna belt with the effect of losing weight with your own hands? 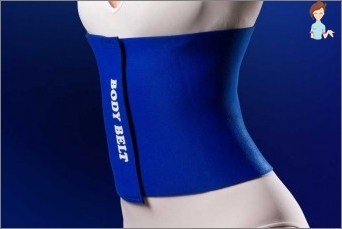 Belt for weight loss - an excellent supportA remedy for those who want to remove excess fluid from the body. Of course, with such an adaptation, the fat will not begin to "melt" in the eyes, but the moisture present in the subcutaneous fat tissue and accumulating glycogen in it will leave quickly and naturally - through sweat. It is in this liquid that polysaccharides are concentrated - one of the main culprits of excess weight. Therefore, women often use neoprene belts to remove stagnant water from problem areas. In addition, the area of ​​the body covered by suchBelt, actively sweating, and therefore, the flow of blood increases. As a result, enhanced microcirculation stimulates natural lipolysis (the process of fat splitting) and normalizes the work of lymph - a real "Sewage" Our body. The pulling belt can be completelyHands, especially if the house has appropriate materials. Even if you have to purchase them - it will cost much less than the finished product. Meanwhile, the budget belt can simulate even the usual food film, widely used for the procedure of wraps. 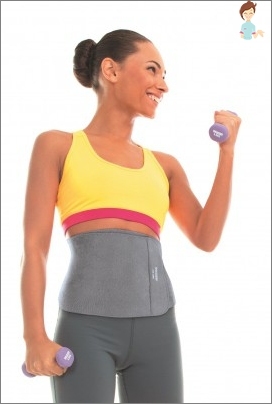 Is it actual to use a slimming belt? If you are constantly in "Mode" Hypodynamia, and move little, useSuch an adaptation for you does not make sense. Belt is an auxiliary option for those who practice home training, or engaged in the gym. Do not use this product for those who plan to attach it to the abdomen, having problems with the organs of the reproductive system. In this case, it can provoke overheating of tissues, and this will have a detrimental effect on the course of the disease. Particular attention should be paid to this point in that it has polyps in the uterus or cystic neoplasms in the ovaries. For unknown reasons, some people are sincerelyBelieve that, wearing a belt on their body, they will without any effort achieve a local correction of the problem areas of the figure. But this is not so. Please note that the belt in no way will help you if you put it on and lie down on the couch in front of the TV. But you can easily wear this thing if you are doing general cleaning, or are engaged in similar cases requiring minimal motor activity. Then you will kill two birds with one stone - and the house is clean, and the fat on the body is rapidly melting. Why there was a misconception that belts forWeight loss can solve the problem of excess weight in just a few weeks and without any effort? The reason for this attractive models, which advertise expensive products of this nature. 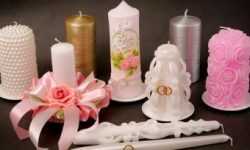 An adequate person will immediately understand that it is simply impossible to get cubes of the press, like a model from advertising belts, if you do not apply purely sports efforts to it. But nevertheless, some gullible buyersReally believe that there are miracle pills and magic belts that can save them from what they've been saving for years. And even decades. 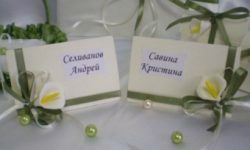 We will make a reservation at once - in order for the belt to really work, you will have to make some efforts on your part. If you do not like aerobic or weight training, and from one type of simulator in the gym you have characteristic pain in the muscles, we advise you to start running. This is useful not only for the figure and health, but also forFor the soul balance. Just make yourself jogging every evening. And of course, before you go to the stadium, do not forget to put on your bought or man-made belt with the effect of the sauna. Let's see if fat goes away with sweat. No, only water, sodium salts, minerals and some toxins that collectively accumulate in our tissues go away afterwards. Replenish those nutrients that areAre eliminated in this process, it is possible with the help of isotonic agents. You can make them yourself, or buy in a specialized sports nutrition store. But with what is the effect of weight loss, which promises to wear a belt during training? The fact is that the belt has on our softTissue effect of the sauna, warming the muscles in local areas. In view of the fact that the musculature heats up, it begins to draw energy resources from nearby objects, namely, subcutaneous fat. Thus, local metabolism is strengthened, fats heat up and are more easily broken down. Blood lipids are carried by other muscles,Which are involved in the process of aerobic exercise. Oxidizing, the remaining fat cells turn into carbon dioxide and are sent to the lungs, whence they are removed naturally, during the breathing process. This is how the weight loss effect begins. And now you understand that an aerobic load is required to achieve it. It should immediately be indicated that fat isA kind of reserve of our body. In case of famine, war or cataclysms. Therefore, he spent very reluctantly. First, there is a breakdown of carbohydrates (of course, with their restriction in the diet). Then, experiencing a shortage of energy sources, the muscles begin to feed on fat "Stocks". We can sweat in different ways. For example, in a sauna or a bath. Many people are happy to see that after visiting the steam room lost a couple of kilograms. So to say, it combines pleasant with useful. But this is a great error. During the stay in the sauna, the body does not have an aerobic load, which means that the muscles do not draw energy from the fat and do not split them. Since then only water leaves, and nothing more. Eliminated pounds almost instantly replenished with the natural need for drinking. Aerobic training is a must for those who want to lose weight with the belt. Only in this case, warming the muscles of the abdominal region is really useful - fats "Melt" And enter the blood, and during exercise they feedThe whole musculature of the body. If she does not strain herself, she does not need food, which means that burning lipids take their former positions, or, worse, spread to other "Problematic" Sites. So, as you understand, training when wearing a thermal belt is mandatory. And now you can start making this interesting product. How to make a "magic" belt with your own hands? How can I make a belt for losing weight with my own hands? Follow the simple instructions. Velcro (for the subsequent tight fixation of the belt on the body). It is now easy to find thermo-cloth, since most sportswear is sewn from it. So, take measurements from your own body. Do not forget to take into account the fact that the volumes will be constantly decreasing, so it is advisable to sew the sticky tape in the appropriate order. 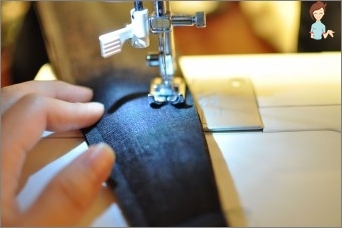 Stitch the edges of the fabric on the sewing machine using a high-strength suture material for this purpose. After the very base of the belt is ready, attach it to the waist and mark the future position "Fasteners". Now sew the Velcro in the marked places, withTaking into account the gradual decrease in volumes. 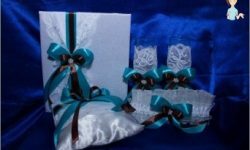 In principle, it is not necessary to sew several Velcroes at once, but it is worth leaving a few pieces of material for subsequent re-sewing. You can also use regular foodFilm. Use such a light version of the thermopody is optimal after training, because in the process it will interfere and curb movement. You can also wrap the belly with a film, and on top of it wear a belt - the effect in this case will be doubled. Some women want to know how to do it.Usual pulling the belt yourself? The one that hides the fullness only visually. It is made according to a similar principle. But in this case it is necessary to select the most thin fabric. And it is very desirable that it be a bodily or other neutral shade. Green and black belts can appear through clothing and become visible to prying eyes. Also, these products should not be worn directly under the dress. It is better to put on a pull-down waistband under the body, and only then wear regular clothes. Be beautiful, and lose weight with the mind!